EASY Styling instructions are included with your order. The style in image #3 has 2 added matching braids; please select from drop down menu. 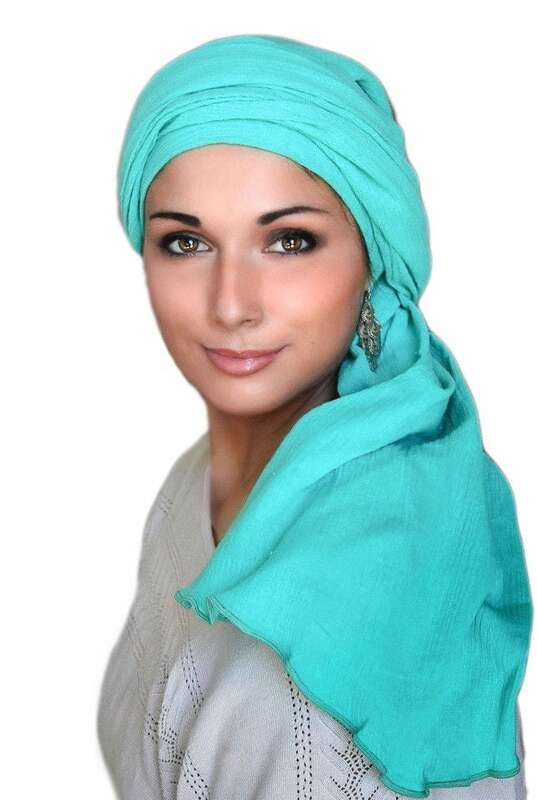 This is NOT a scarf - it is a fitted wrap, adjustable to 21-24" head size. This ultra-soft, lightweight is long as a wrap scarf, but perfectly fitted with a seam. It stays securely on your head as you create your favorite style. No slipping! 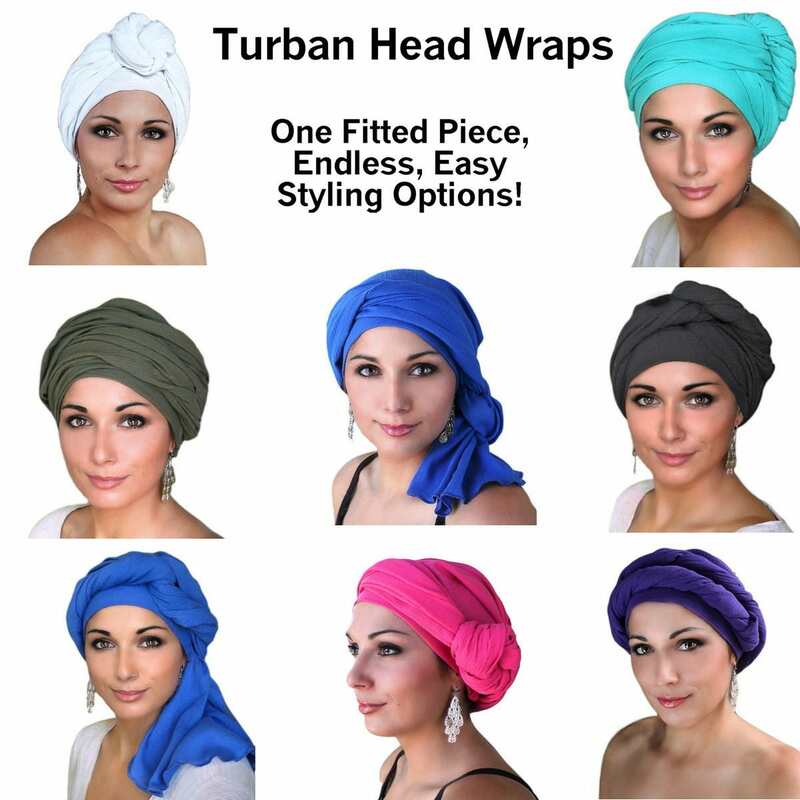 Made of cotton gauze wrap, it's gentle and comfy for chemo hair loss or alopecia, and long enough to cover even long, thick hair, dreads or extensions. 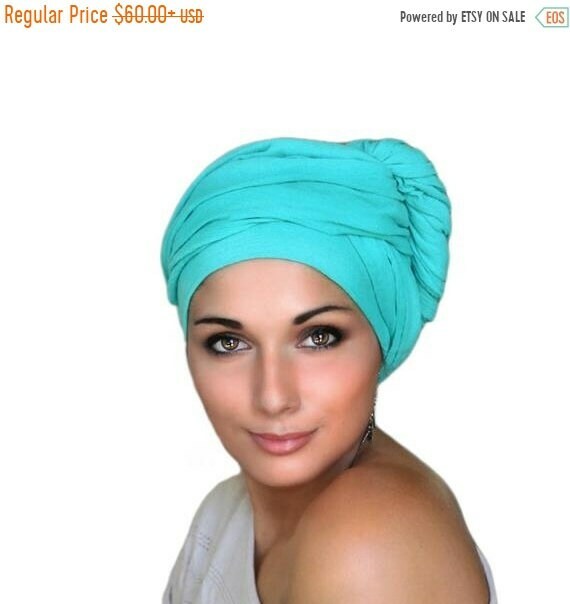 Wraps around your head at least twice to make a gorgeous classic turban. Wrap once or twice - tuck the end for a sash, twist into a rosette, or wear it as a cowl scarf, thick headband, hijab or hood. Instructions are included with your order. ♥ Made in the USA in a non-smoking, no-pets environment. I always have something new. If you don't see what you want listed here, drop me a line. It just may be waiting on my workbench!